If you suffer from rosacea, undergoing a laser treatment at ReNova Plastic Surgery in Pittsburgh, PA, can provide relief. 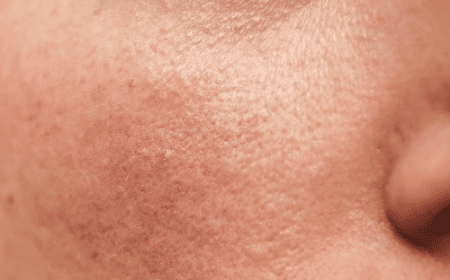 About 14 million Americans suffer from this skin disorder, which is usually characterized by frequent flushing of the face, abnormal skin thickness, and bumps. Rosacea typically affects the nose and cheeks, but can spread to the forehead, chin, ears, chest, and back. Laser treatment for rosacea involves clearing blood vessels beneath the skin to reduce symptoms. During a consultation, Dr. Julio Clavijo-Alvarez can determine if laser treatment is the best way to manage your rosacea symptoms and help you experience the restored confidence you deserve. Rosacea is commonly characterized by frequent flushing of the face along with bumps on the skin. Heredity: If someone in your family has rosacea, you are more likely to experience it yourself. Light Skin: Fair-skinned patients are more likely to develop rosacea. High Levels of H pylori: An overgrowth of the bacteria H pylori in the intestines is believed to cause rosacea. Skin Mites: Although mites on the skin are normal, those with rosacea tend to have large numbers of demodex on the skin and cheeks. An Inability to Process Protein: Cathelicidin is a protein that protects the skin. Some have difficulty processing this protein, causing redness and swelling. ​You are more likely to develop rosacea if you are between the ages of 30 and 50, have fair skin, acne, or have a family history of rosacea. Although there are several rosacea treatments, laser treatments are usually recommended to patients with persistent symptoms, including flushing and skin thickening. Although rosacea is chronic, laser rosacea treatment can help control symptoms and significantly reduce flare-ups. During the procedure, a pulsed dye laser (PDL) is used to treat the affected areas. A topical anesthetic can be applied to the skin beforehand to provide optimal comfort. The laser light is absorbed by red blood cells, which destroys inflamed blood vessels. This can reduce spider veins, redness, and flushing. Patients may require multiple laser sessions spaced a few weeks apart for effective treatment. Results from laser rosacea treatment last anywhere from several months to several years, depending on the severity of symptoms at the time of treatment. For the first few days after treatment, it is common to experience some redness, swelling, soreness, and skin peeling. Side effects generally subside within the week. Following your skincare regimen and avoiding the sun during this time can promote fast recovery. 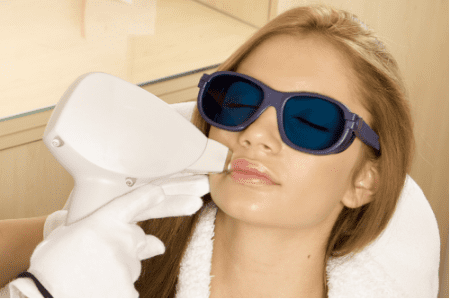 To learn more about laser rosacea treatment and to find out if it can help you, we invite you to schedule a consultation with Dr. Clavijo-Alvarezan. You can contact us online or give us a call at (412) 638-2391.